Eight holiday houses for 10 to 12 people on a quiet side street directly on the edge of the forest is our special holiday offer for families, friends or groups. As single houses with approx. 125 square meters of living space (4 to 5 bedrooms) or as double houses with 115 square meters of living space each (4 bedrooms) – our holiday houses will be your temporary home. Bright and friendly rooms make you feel welcome right from the beginning. A modern kitchenette equipped with a dishwasher and a microwave, two bathrooms (shower or bathtub), WC, balcony or terrace, landline phone, TV and other extras ensure a pleasant stay. Many houses have a fireplace for cozy evenings. The firewood can be bought at the reception for €9,50. Most of the garden plots are fenced in and are therefore popular with dog owners. With the forest right at your door, this location is ideal for a holiday with a dog. Our versatile offer leaves no room for complaints. The wellness area in the hotel wing includes an indoor swimming pool, a waterfall, a whirlpool and saunas. In addition, breakfast or half board can be booked in the restaurant Tannenzapfen. We also offer a “morning bread roll delivery service” to our apartment and holiday houseguests. Please contact our staff for more information. Accommodation prices from 198 € to 320 € per night and accommodation. Minimum stay two days. Free Wi-Fi. Our holiday houses. Come in! Directly at the edge of the forest and with sufficient distance between the holiday houses. With us, your holidays will be peaceful and quiet. Many of our holiday houses are equipped with a fireplace. 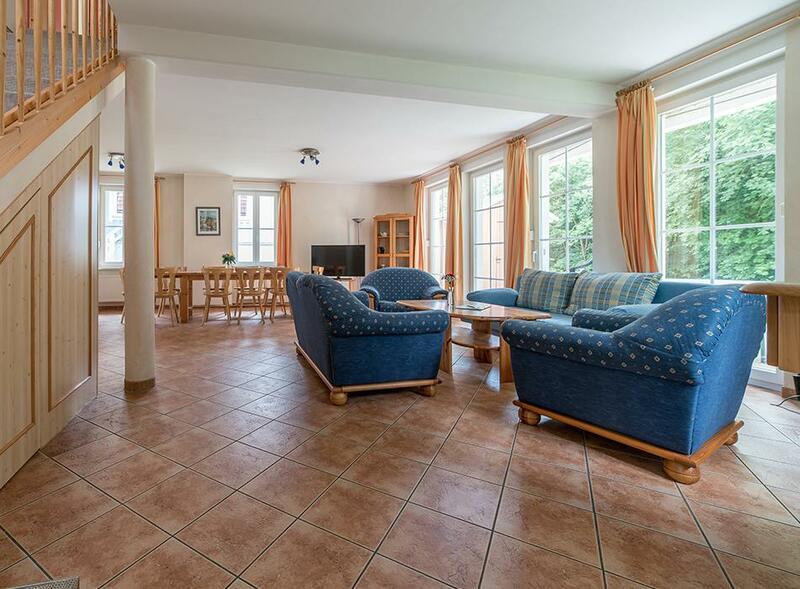 Enjoy a cozy evening in front of a warm fire after an eventful holiday in the Harz Mountains. Free parking for your car or motorbike is available directly at the holiday house on the fenced property. For a great morning, you can book our “morning bread roll service” or have breakfast at our popular breakfast buffet in our restaurant Tannenzapfen.